Hello Sundclouds members, * *Freger65* > Frederik & Gerda, we are a married couple, both born and raised in 1965 at Willebroek, Flanders, Belgium. 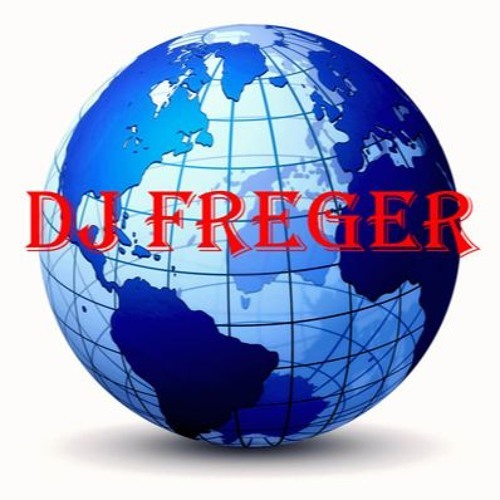 Frederik is Radio Dj Freger at BELTER Radio (UK) with his 2 hours non-stop Globetrotter Mixes & Music Carousel Mixes :http://www.belter-radio.webeden.co.uk/ Frederik = DJ Freger We love lots music genres, listening, funding & promoting independent music is one of our hobbies. We are always open to discover new music talents Neither of us can't sing, or plays an instrument. Our roots in the music are the mid 70's,80's and 90's when music was played with instruments and not complete with computers sounds effects. This means not that we don't love the music of the new century or present days, even the 'New Beat' in the late '90's brought a few nice things. Only country music is still pure and played with real instruments right from the heart ♥ Country music never dies! But we also enjoy New Age & Space music to ;-) Our favourites: *Instrumental Music* : *STRATO-VANI* Orchestra, Jean-Michel Jarre, Markus Pitzer 'Dreamweaver', Anima Infinity, Vangelis, Kitaro, Nattefrost, Kenny G, Sash, Enigma, Hulon, Stefan Dibell, Synth.nl, Clemens Esterel, Translunar, , Enya, Adya, All India Radio, Vlad(germany), Mindmovie etc... Independent Artists: FMT - FREGER's MUSIC TEAM Artists: Inge, Tristan, Lana Wolf, Aly Cook, Laura van den Elzen, Korie Anne, Karlyn (Verhagen), Jody Direen, Parabola West, Colé Van Dais, Katie Knight, Julia Crystal, Haikaa, Courtney Dickson, Hannah Vandie, Marina V, The W Lovers, Cheryl Nye, 2Steel Girls, Shauni Rau, Jana G, Jeannine Barry, Natalie Tuvey, The Sou'Westers, Eileen Carey, Apana, Civilized Tears [The Trending], Meo Pop (Branko Bock), Murky Red, Markus Pitzer 'Dreamweaver', Lindy Waldeck, Micheal Castaldo, Vivien, Ricardo Sanz (+all R&T Multimdia artists), Monika Evans, Mennana, Cheryl Woods, Annemarie Picerno, Sentinel [Dream] & Alpha Six Romeo, Ivana Raymonda van der Veen, Starar, Katey Laurel, Kat McDowell, Sinem Saniye, Bamil, Menura, Joanna Lampe (Chantal), Donna Dean, Jade Diary, Gabriel Scar, Star Kisses - (Ivy Cavana), Newton, Berührt Band, Marjan Debaene, Walking Horizon, portrait [B], DJ OzYBoY (Angelo Montoya), Sharon Adréanne, Jennifer Berdetta Big fan of The Pack Music by Wolf Man **All independent musicians/artists that we support or follow or we have already music of in our big music collection** Message to all artists of the genres: Hip Hop / Punk / Rough Rock / Dead Metal - Please don't ask to be a fan or follow you!